GARNI HOTEL LEOPOLD I is located on the right bank of the Danube River, at the top of 17th century magnificent Petrovaradin Fortress, and offers its guests 26 rooms with views on the Danube River, Novi Sad and the Fortress. Terraces / Catering facilities located in the proximity of the Garni Hotel include: Aperitiv Bar, 2 Lobbies, Havana Club, A La Card Restaurant (capacity of 75 seats), Serbian National Restaurant, Italian Restaurant / Pizzeria and Fish Restaurant with the capacity of 700 seats at the Hotel Terrace overlooking the Danube and Novi Sad. Garni Hotel Leopold I is situated on the Danube riverbank and just 200 metres from the Varadin Bridge. 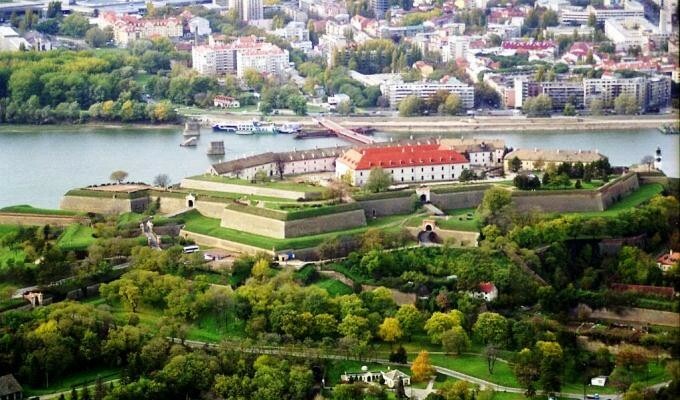 On the right bank of the Danube, Petrovaradin Fortress is only a 10-minutes walk away from Hotel Leopold I. On the left bank, Republic Square and the Orthodox Cathedral of Saint George can be reached within a 15-minute walk.